Successful laptop recovery from the Denver Data Recovery Specialists! Logical, Hardware, Firmware, Mechanical Failures. Because they are often carried about and exposed to different environmental factors such as heat, water and dust, laptops and notebook computers are far more likely to experience data loss than their office desktop counterparts. Their portability makes these sophisticated and essential in-the-field devices prime candidates for data loss. 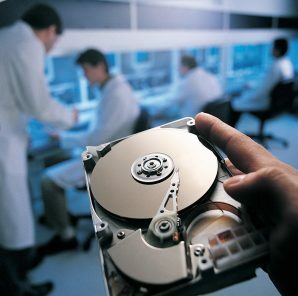 OR The good news is that, with Denver Data Recovery, you can get your data back! Denver Data Recovery recovers data from all notebook, laptop and powerbook hard drive brands, models and interfaces. If you have any questions, please do not hesitate to call us for more information. As our markets get digitized and new Internet currency gets formed and traded every day, its difficult not to get excited for the future. Lightning fast transactions and high profits motivated our client into the crypto currency market, and soon his original investments yielded some good results. Unfortunately, our client experienced some bad luck one day when his computer decided to crash. This laptops 5400 rpm hard drive contained key documents and research that was crucial to his success as an investor. Luckily being a successful investor requires wisdom, and our client had the foresight to reach out to us as soon as the hard drive crashed to discuss recovery options. After a full diagnostic of the hard drive, our team discovered multiple bad sectors all throughout the disk. It’s decline had been quite rapid, the drives bad sectors would multiply every time it powered on. Our team’s proven methods and procedures were put to the test, but we managed to do a full recovery on the hard drive. Since the client wanted to keep the computer, we installed a ultra fast solid state drive and returned all the data to its rightful location. A wise investment indeed! Laptops are meant to relocate and travel. Unfortunately, this means a higher risk of physical and logical damage resulting in data failure. If your laptop is missing data, we can help! Our team of professionals will use all resources to get your data back.